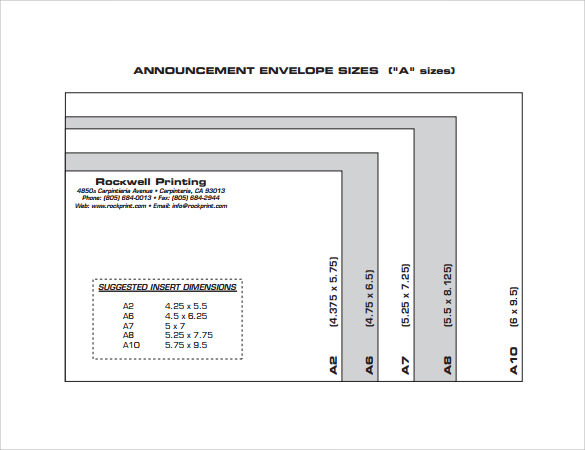 5×7 envelopes are generally used to keep A7 size papers and as these sizes are not so common. You may be finding difficulty to find sample 5×7 envelope template for it but this thing wont effect your job now. By understanding your problem, now our site offers sample 5×7 envelope template, Small Envelope, Etc. They are easy to find and use. All you have to do is just download those templates which are in PDF file and then use them wherever you want. 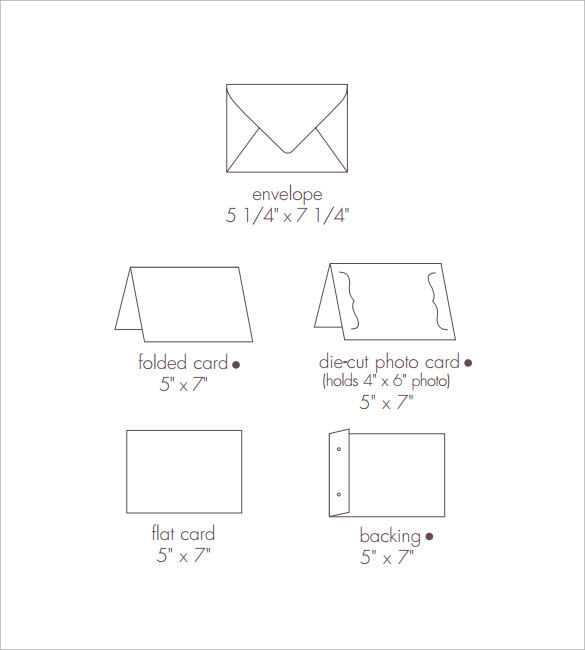 A wide collection of 5×7 envelopes is there in our website that you can check out to pick the best template for your letter. 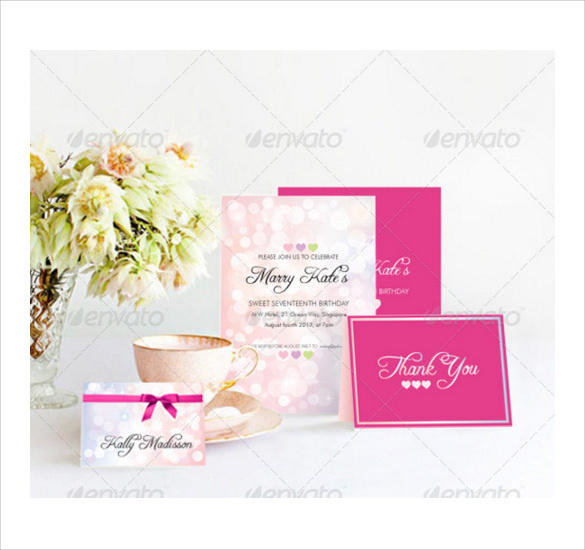 These 5×7 postcard invitation templates, as the name suggests, are meant for sending out invitations for events such as parties, etc. 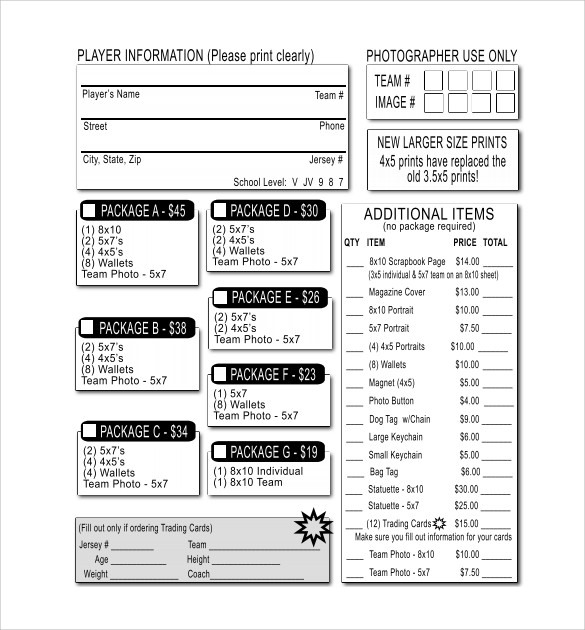 5×7 refers to the dimensions of the postcard template, 5 inches being the length and 7 inches being the breadth. The contents of the postcard are fully customizable. 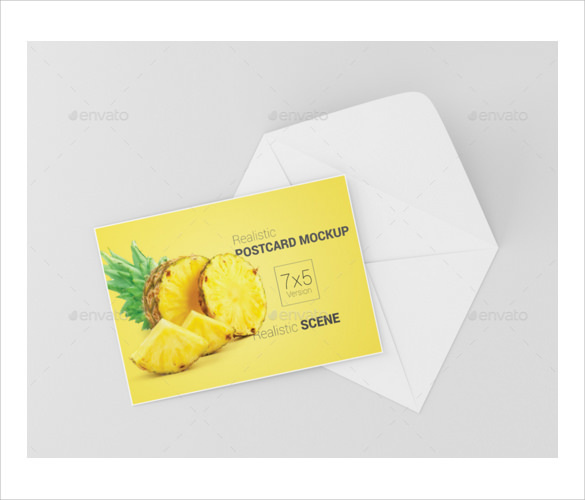 The template has a sleek lemon yellow design which also happens to include the image of an actual lemon in it, is sure to catch the eye. 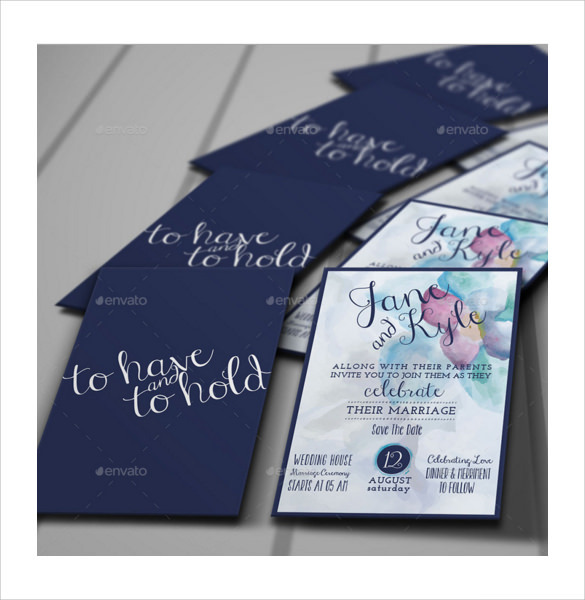 These 5×7 water color wedding invitation templates, as the name suggests, are meant for sending out wedding invitations. The designs on these wedding closely resemble that of water colored floral patterned designs. It is an informative template as well, as it informs the receivers about the fact that one of their near and dear ones is getting married, and it further informs people the time and date of the ceremony. The 5×7 sparkle birthday package template, as the name suggests, is a colorful and sparkling birthday template. It has a pink color scheme, a bright pink one, with lots of sparkles on it, which makes it look great. Add to that a nicely out birthday greeting and its all set. A chalkboard invitation is an invitation template designed with a black background with white chalky prints on it. It closely resembles a blackboard with white chalk writing on it. This template is that of a wedding invitation, with all the possible wedding details in it so as to inform people that one of their near and dear ones is getting married on such and such date, at such and such venue. An envelope is a commonly used item for packing or packaging stuff, usually letters, invitations, postcards, etc. It is made with thin materials, such as paper. The letter, invitation, postcards, etc, are sent from one person to another within these envelopes. Envelopes come in various shapes and sizes. The most common shapes are, kite, short arm cross and rhombus. What Are The Benefits Of Using Envelope Templates? The usage of envelope templates over traditional envelopes has a number of inherent advantages, these are as follows: Saves time- Since envelope templates are soft copies, they have to be transmitted online and hence save a lot of time. 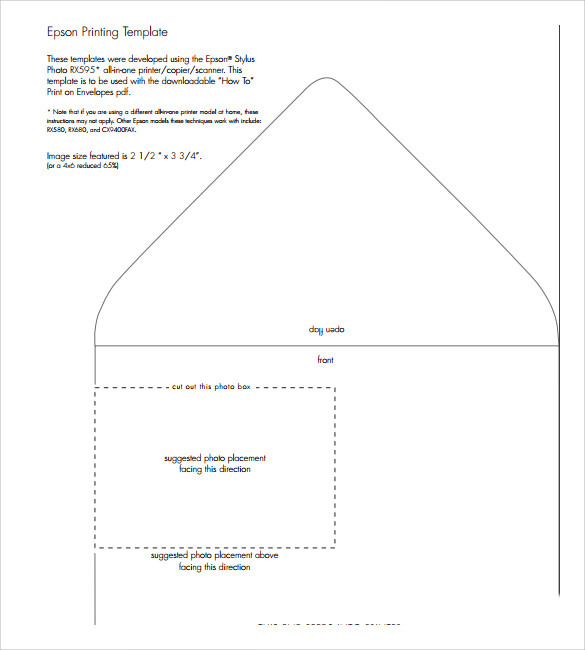 Inexpensive- Envelope templates do not require any stamp duty or other charges and are hence free of cost. Better designed- Since envelope templates are totally computerized, it can be very well designed and can look a lot better than normal envelopes. How To Prepare Envelope Templates? Because of the complicacy in designing intricate envelope templates, not many people are up for it. We bring you a wide range of beautiful templates to choose from, for all events and celebrations, that will perfectly suit your needs.